The Canadian Real Estate Association (CREA) released its monthly home sales statistics for October 2017, announcing that national sales edged up again. But barely. From September to October, home sales increased 0.9%, with the Greater Toronto Area (GTA) leading the way. On a year-over-year basis though, home sales were down 4.3%, making it the seventh consecutive month of activity declines. “Newly introduced mortgage regulations mean that starting January 1st, all home buyers applying for a new mortgage will need to pass a stress test to qualify for mortgage financing,” says CREA President Andrew Peck. New listings dropped 0.8%, following a 5% jump in September. There were particularly sharp declines in London-St. Thomas, Calgary, and Greater Vancouver. The national sales-to-new listings ratio went up to 56.7%, which is considered balanced by the CREA. That said, a healthy sales-to-new listings ratio varies from market to market. Around 60% of Canada’s housing markets were in balanced territory last month. Nationally, there were five months of inventory as of the end of October, which is unchanged from the previous two months. In the Greater Golden Horseshoe (GGH), there were only 2.5 months of inventory, which is much higher than the record low of 0.8 months in February and March, but still lower than the region’s long-term average of 3.1 months. Price gains in the GGH slowed, but year-over-year, prices for all housing types were up. Apartments were up 19.7%, townhomes up 13.2%, one-storey family homes were priced 6.3% higher, and two-storey family homes were up 5.8%. In Toronto, Oakville–Milton, and Guelph, price gains slowed significantly, but once again, average prices were still higher on a year-over-year basis. Respectively, average home prices were up 9.7%, 8.3%, and 13.2%. The national average price was just under $506,000 in October, which is 5% higher than last year. As usual, the average is heavily skewed by Vancouver and Toronto. Take these two markets out of the equation and the average is more than $120,000 lower at just over $383,000. 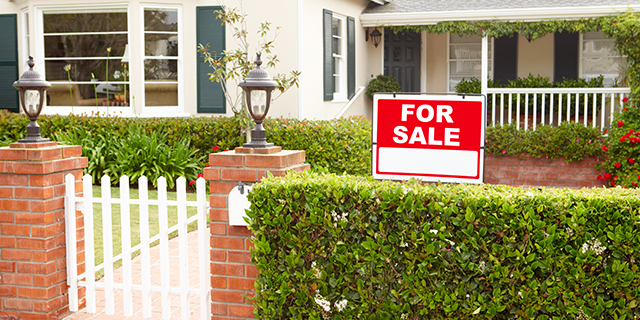 So, do you think we’ll see home sales spike in November and December?